By Nadia Anuar in Photography. Updated on October 14, 2017 . A house reflects a lot of things about you. 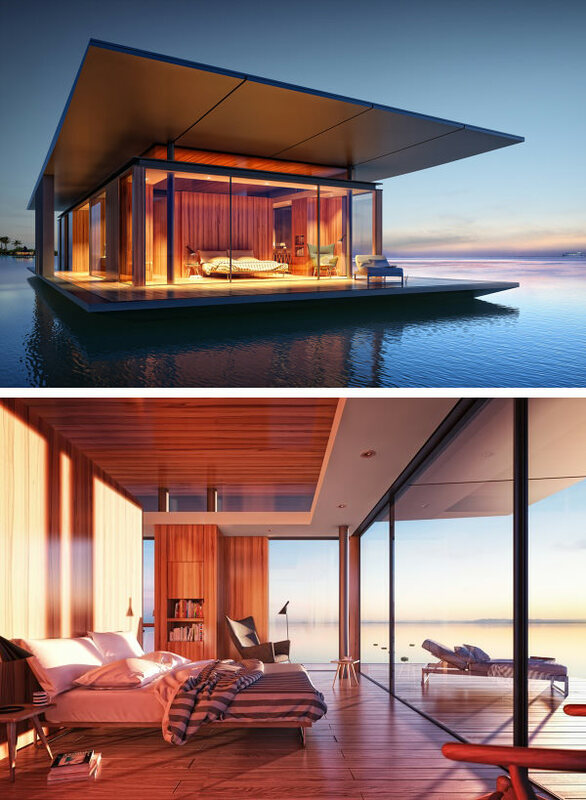 Floating homes are great examples of houses that are not only able to combine form and functionality but in most cases, they consider the surrounding environment as well and how to fully use it. Of course, there’s also just something soothing about being surrounded by water. It gives one a sense of serenity. We’ve put together a collection of 20 gorgeous examples of these structures for you to gaze upon. From simple and rustic to unique egg shaped spaces, these houses are more than just a space, they’re an indicator of one’s lifestyle. 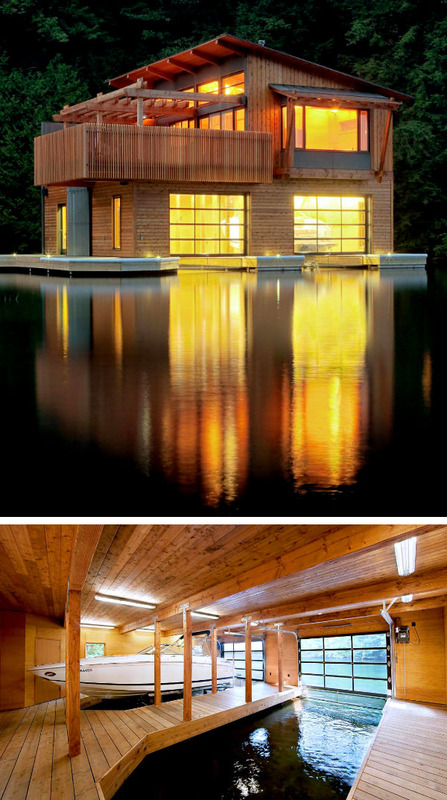 Muskoka Boathouse. 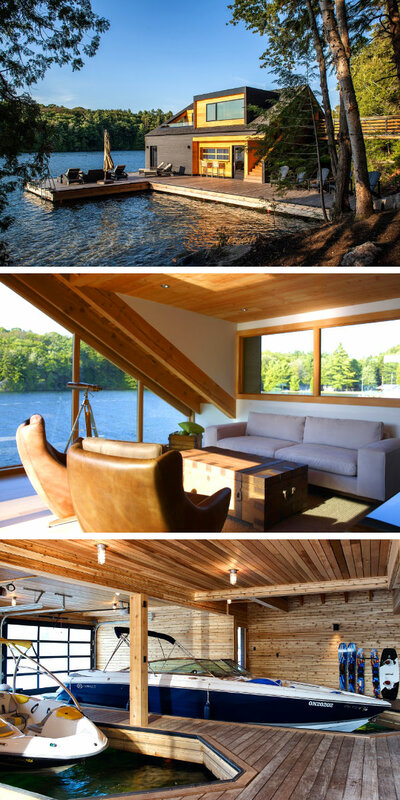 Located in Muskoka Lakes in Ontario, Canada, this house takes a rustic material like wood and uses it a modern and contemporary way. It comes with all the facilities you would expect like a bedroom, bathroom and living space but also comes with a stunning roof terrace. Lake Union Floating Home. 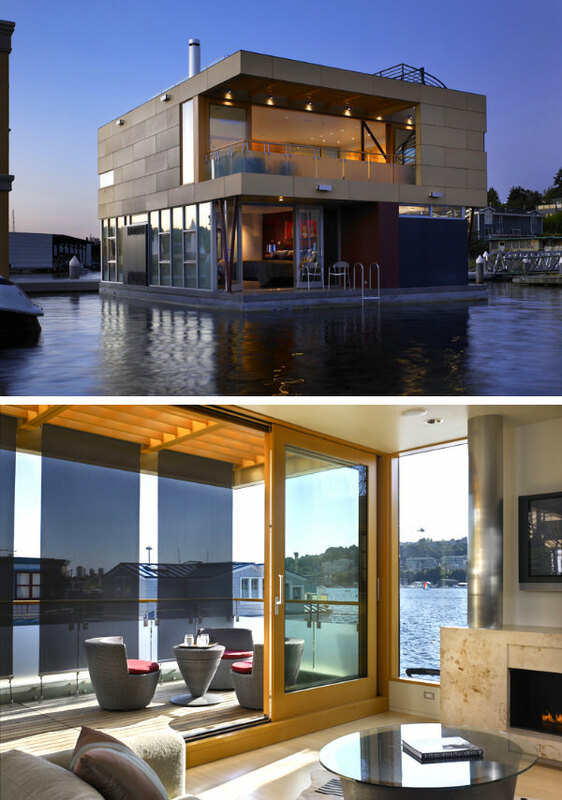 This floating home at Lake Union, Seattle, makes full use of its location. Not only does it provide stunning panoramic views, the house is designed in such a way that it allows for maximum functionality. Lake Rotsee Refuge. If you think that this lakehouse looks like a piece of art, you’re right as it is a combination of a sculpture and a functional building. 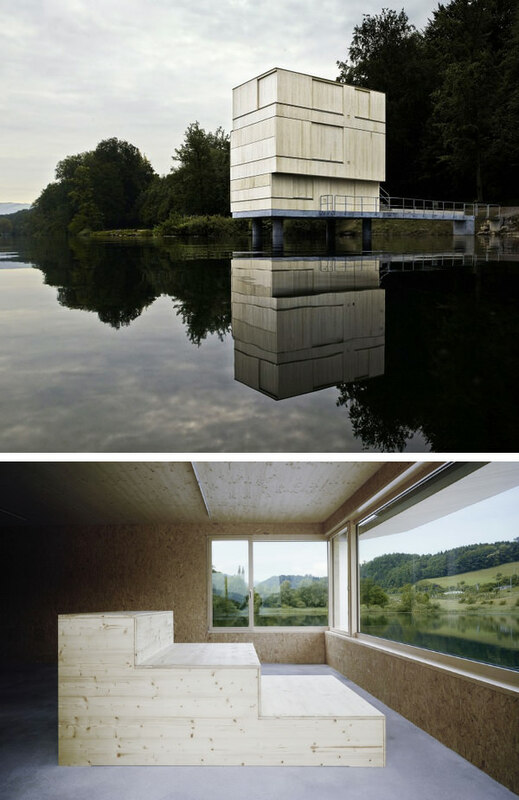 This three storey high building is located in Rotsee, Lucerne. Lake House. 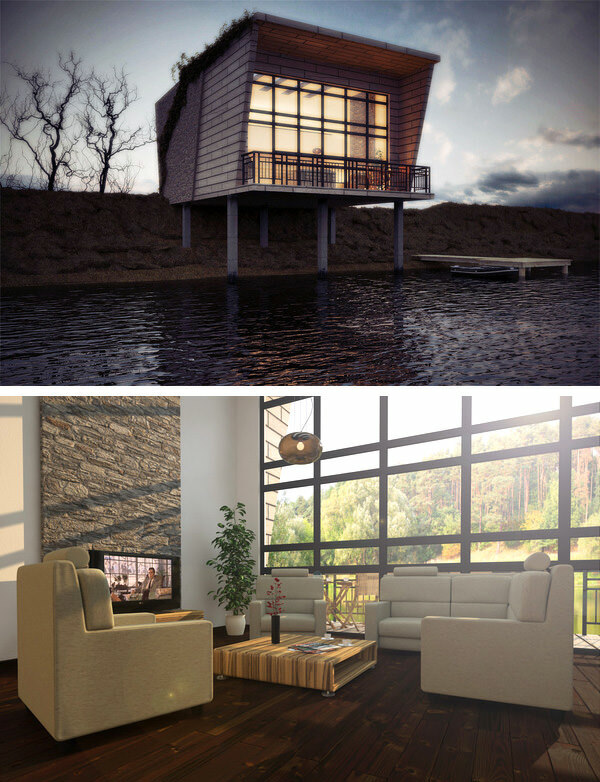 This lakehouse concept by Djordje Stevanovic from Serbia is beautiful not only for the details involved in the exterior but also for its simplicity. The unique combination of materials makes this lake house sophisticated yet comfortable. Lake House by Hutchison & Maul Architecture. 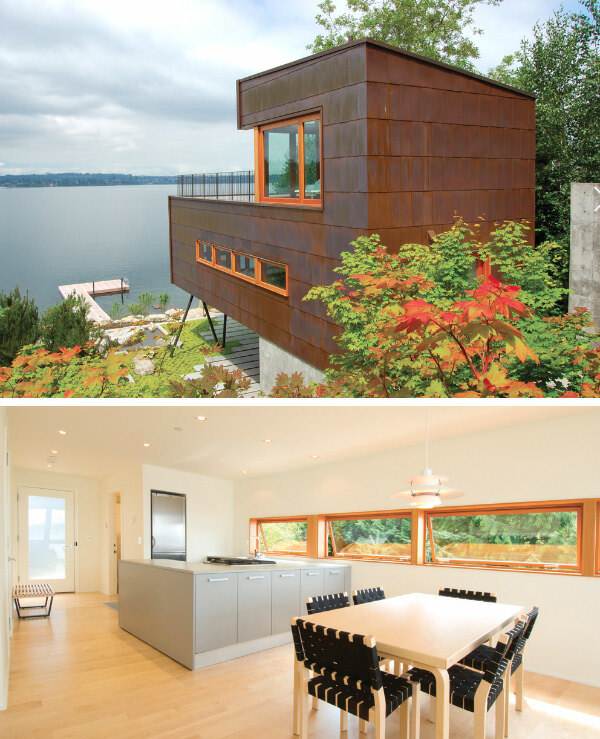 Located on Lake Washington, this lakeside guest house wonderfully incorporates elements of nature into its design. The materials such as copper and timber lends an industrial feel to this contemporary design. Hardanger Retreat. 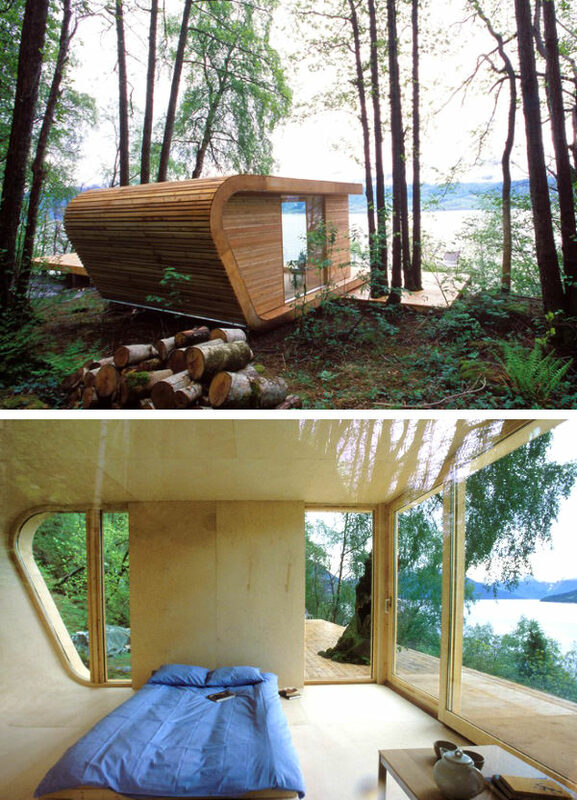 This retreat is a simple 15 sq meter room made of glass and wood. Designed by two young Norwegian architects, it is a sustainable getaway that allows one to reconnect with nature once again. Croft Residence. 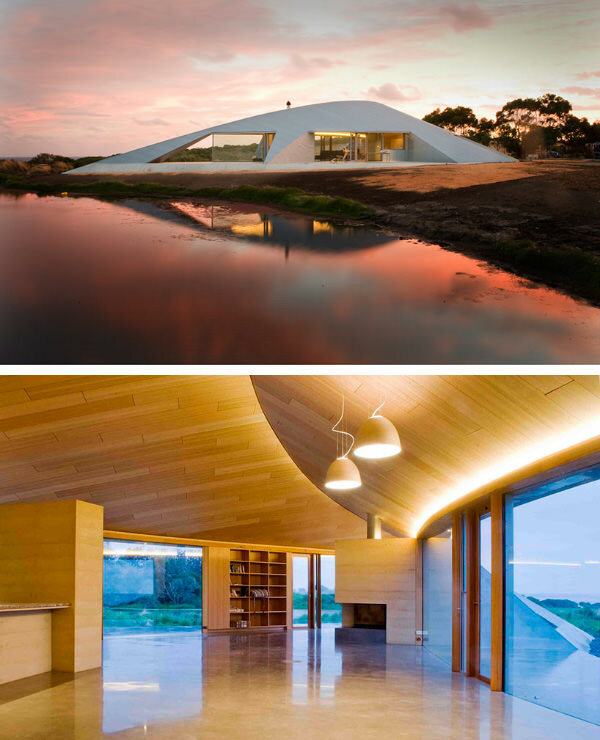 This lake house located on the south coast of Victoria, Australia is uniquely crescent-shape. Looking as if it emerged from the land itself, it offers panaromic views of the surrounding rural landscape. Haus Am See. This dream home in Carinthia, Austria is surrounded by a maze of greenery. Designed by Spado Architects, this contemporary piece offers guests a look at the picturesque lake below. Glass Cube House. 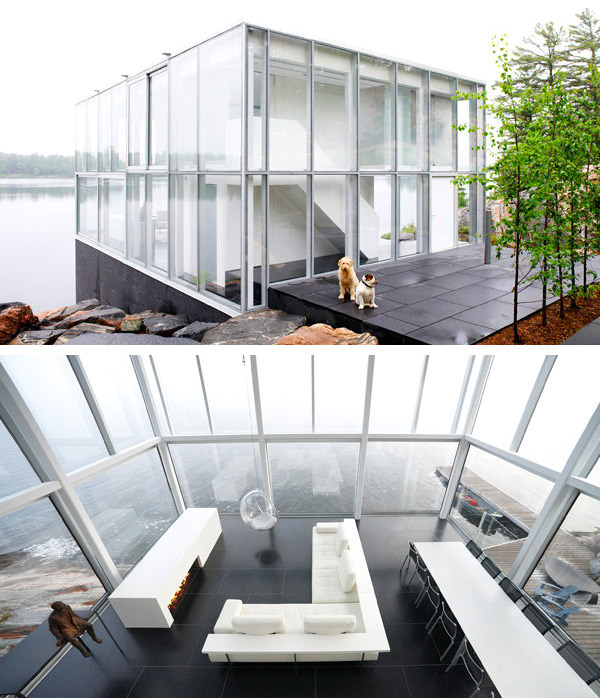 The glass house sits on the water’s edge at Lakefield, Ontario, Canada. This completely modern design brings the house to life by letting nature do the necessary work. Floating House. 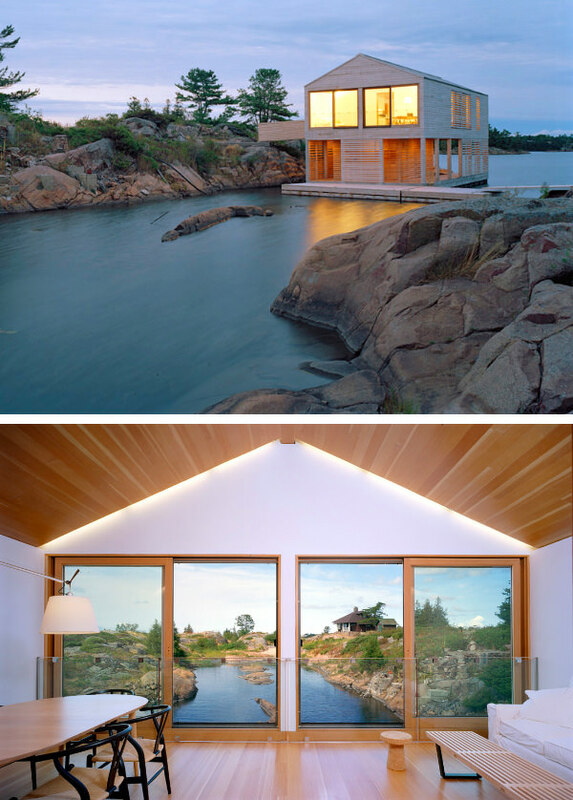 MOS architects designed this floating home on Lake Huron. Steel pontoons may keep this house afloat but it is the minimal design of exterior of the house that grabs your attention. Lake Joseph Boathouse. Situated on Lake Joseph, this house is a great place to get away from your troubles and gain some peace and quiet. The colors and design of the house makes it a comfortable setting. House on Lake Okoboji. In West Lake Okoboji, Iowa, this house not only looks lovely but also acts as a 3D set of blinders. Privacy from surrounding neighbours and easy accessibility to the surroundings make this an ideal set up. Boat House at Millstatter Lake. Built where the soil and water intersect, this house embodies the character of both elements. Its modern design is complemented by the surrounding natural landscape and detail. Cliff House. This $43 million multi-level lake house in Lake Tahoe took 4 years to be constructed. 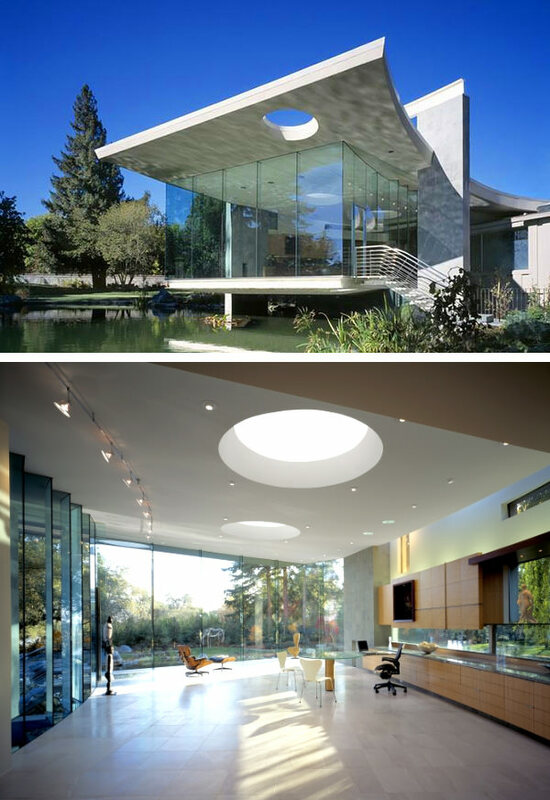 With 5 floors, 6 level glass stairwell and a glass elevator, this gigantic glass house is truly a sight to behold. Lakeside Studio. Located in California, this house effortlessly combines a flexible living space, art studio and gallery. With the natural landscape for inspiration, residents are given the freedom and comfort of exploring as they wish. Aqua Float Home. 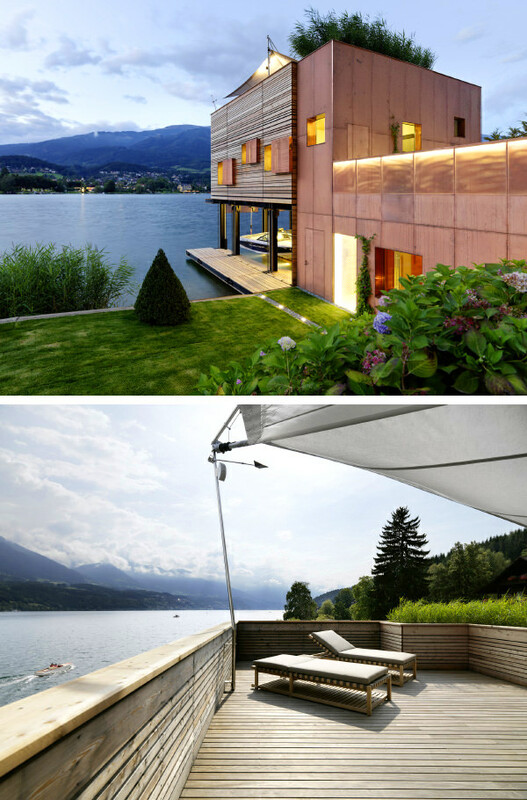 Inspired by sailboats, the house is made of glass and steel by German architects Steeltec37. This nautical home comes with a rooftop deck and various spaces for guests to wander through. Glass House. 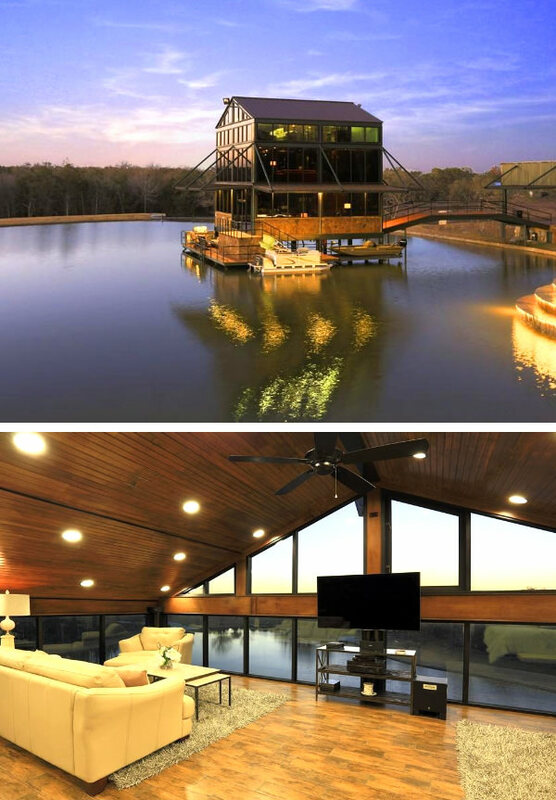 Located at Round Top, Texas, this three storey cube is on sale for $5.3 million. This lavish one bedroom retreat comes with multiple rooms for storing vehicles and entertaining among other things. Exbury Egg. 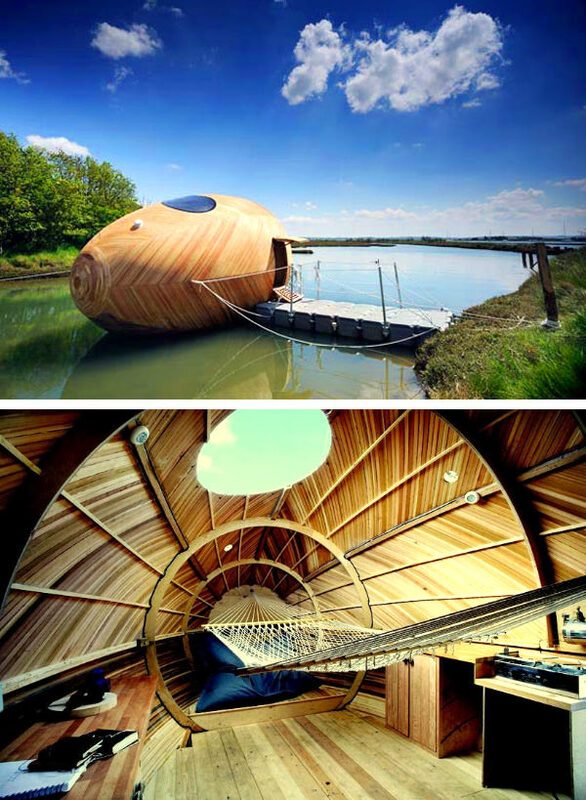 This unique looking egg located on River Beaulieu is an energy efficient and self-sustaining work space. Its shape means that it is affected by the weather around it. Floating House by Dymitr Malcew. 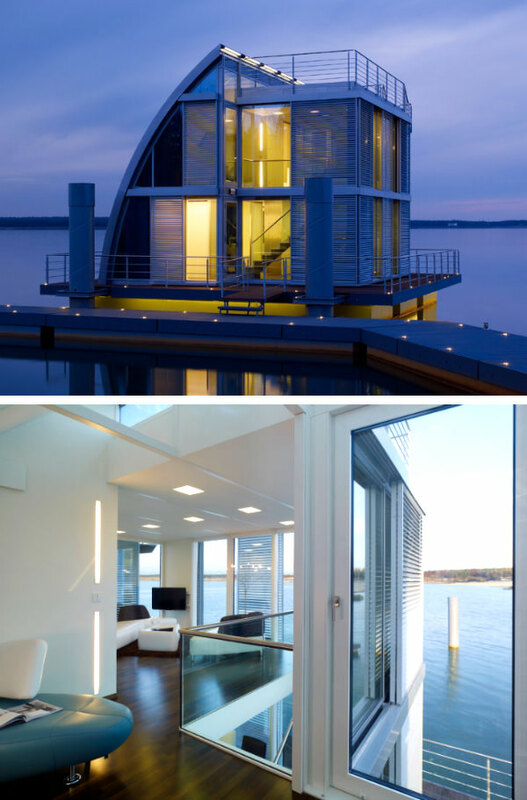 This gorgeous floating house is designed with the concept of freedom and nature in mind. The open glass and use of natural light allows one to seamlessly connect with their surroundings. Crown House. 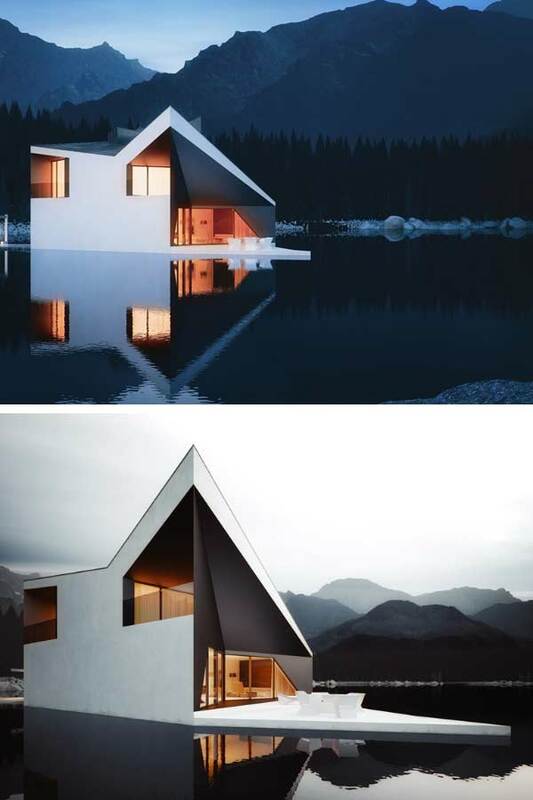 A lake house that indeed looks like a crown, this beautiful concept blends well with its surrounding environment. It is a prime example of a lakehouse with a bit of a modern twist.